Rainbow Energy Healing reveals important guidance and removes significant blocks relating to life purpose, the ability to hear and receive Divine guidance, the connection and functioning in harmony with others, soul groups, and how to express unique Divine purpose. Rainbow Energy Healing helps to activate and empower our highest aspirations and life purpose functions. 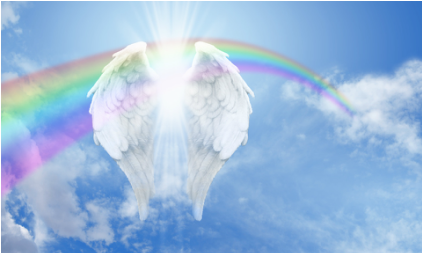 Rainbow Energy Healing is a healing technique created by Chris Cuciurean, Medium, Channeler, Spiritual Coach and the founder and facilitator of Angel Guidance and Healing®. Chris channeled three Archangels in the development of Rainbow Energy Healing; Archangel Michael, Archangel Raziel, and Archangel Metatron. Rainbow Energy Healing is based on the unique energy of Rainbow Children. Rainbow Energy Healing uses a combination of colour, light, and archangel guidance to help heal the energy systems of the human body, resulting in physical, emotional, mental, and spiritual healing. Rainbow Energy Healing works with 12 major chakras in the human energy field, including the traditional 7 major chakras, and 5 other higher vibrational chakras including the ear chakras, life purpose chakra, soul purpose chakra. soul group chakra, and rainbow bridge chakra. Rainbow Energy Healing is administered by a practitioner for a client. The client relaxes on a healing table and the practitioner follows a specific protocol that activates the Rainbow Energy Healing process. During the process, the archangels are present and active, helping to release any blocks to the healing process. The practitioner will move their hands in and around the energy systems and aura of the client during the session. Occasionally, the practitioner uses hands-on healing at the physical body level. There is minimal hands-on contact however, as most of the activity occurs in the subtle energy bodies and auric shell surrounding the client (approximately 1 meter radial bubble surrounding the client).